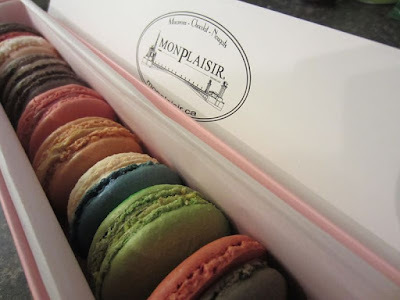 I pass by the Monplaisir Delicacies store everyday in Calgary's TD Square so I was pretty excited when I had the opportunity to review some of their french macarons!! The staff at the flagship store were friendly and eager to help. 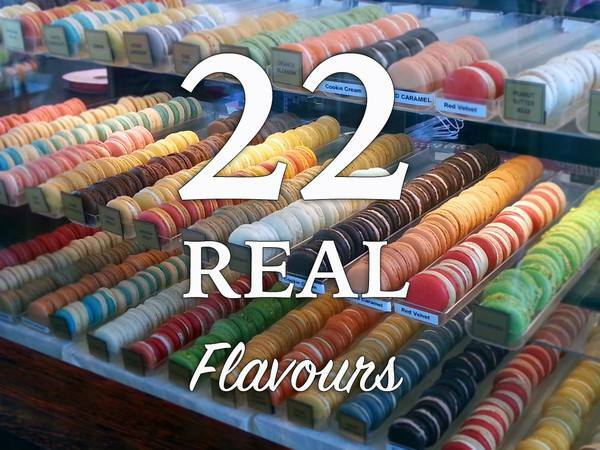 I picked out 12 macarons from the colourful display case that housed 22 delectable flavours. Upon opening the box at home, I was greeted with a stream of vibrant colours and an aroma of flavours , including one of Monplaisir's best sellers, Pistachio. After my first bite, I couldn't stop - the french macarons were so tasty!! Some of my favourites included the Nutella and coconut flavours while my boyfriend Jon really enjoyed the dark chocolate and moka flavours. Monplaisir's french macarons are made with 95% Canadian ingredients and privilege local and organic suppliers directly from their brand new 2,700 square foot facility. I've loved macarons ever since my first trip to Paris in 2013 and I would definitely recommend Monplaisir Delicacies if you're looking for authentic, quality tasting french macarons!! These look totally amazing. I must get some the next visit to Calgary! We received complimentary ones for review purpose- you'll have to check out price online or call store direct for current prices thank you.